This is a fantastic choice for history and architecture fans. Enjoy the ultimate hassle-free day with Gdansk hotel pickup and drop-off included. 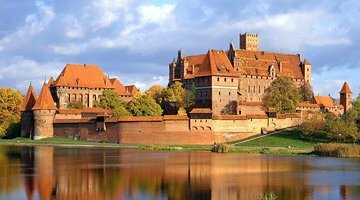 You’ll travel in a comfortable vehicle to Malbork Castle, where you won’t have to waste a moment waiting in line as admission tickets are provided. Explore the spectacular brick castle from the Middle Ages before discovering more attractions in Zulawy. A highlight of the day is enjoying a barbecue in Hel—the village where the Nogat and Vistula rivers meet. Sebastian was a wonderful guide going over and above what we expected. Since there were only two of us we ate lunch at a restaurant near the castle rather than bbq but we had a very quality day trip and highly recommend Poland by Locals.